Local business Airport Cottage who have been offering car parking for visitors to the Scilly Isles flying from Lands End airport, we were approached to bring their website up to date, providing a fresh modern look with ability to book online that works on all devices. 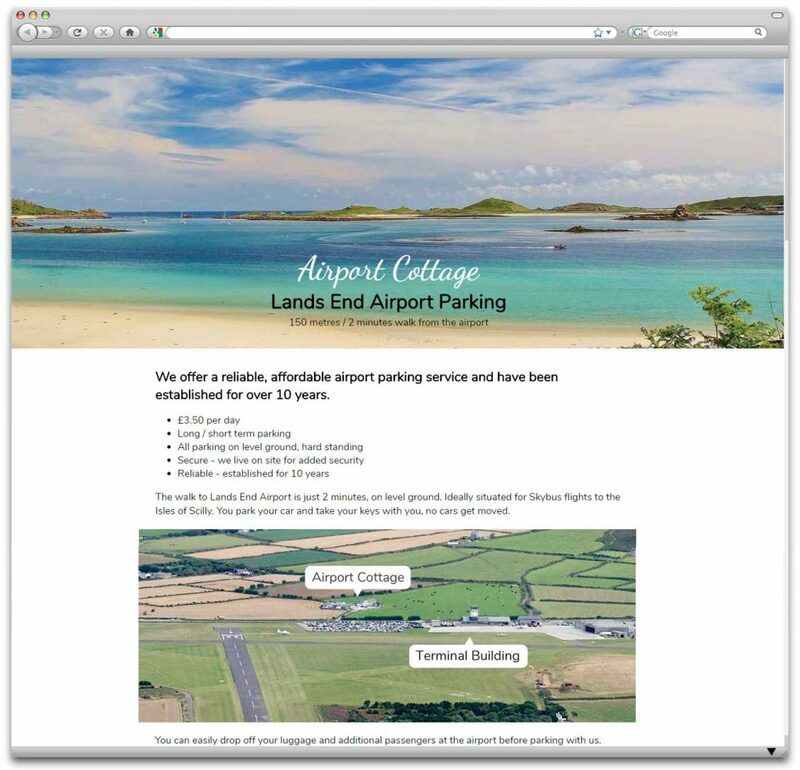 A simple single page website complete with booking form was created, using stunning photography of the Scilly Isles and an aerial map to depict how close their car park is to the airport terminal! The website has a responsive design so will automatically resize to suit the device it is being viewed on, whether a computer, tablet or mobile phone. Since their new website went live they have reported a significant increase in bookings and improved rankings in Google.